Figs are back! We love figs, and the best thing about them is that in California we get two fig seasons. One in early summer, then again in late summer/early fall. We love eating perfectly ripe figs by themselves, or if they are soft, spread on toast. By far our favorite way to eat figs is paired with cheese. There’s hardly anything better than a platter of sliced figs and cheeses with a glass of crisp white wine on a warm summer evening. One of our favorite things we’ve ever done in wine country was enjoy the sunset with figs plucked straight from a tree at our friends’ house, with some wine and perfectly ripe grapes snipped from the vineyard down the street. We wanted to share this great party appetizer as soon as figs came back in season, and while it’s still warm enough for a light sauvignon blanc. It’s much easier to make than it looks (and sounds), and it’s one of our favorite ways to serve Prosciutto di Parma. Many people have probably tried uncooked prosciutto. Some of the most common and delicious ways to eat it are wrapped around ripe melon slices or scattered around a cheese platter, but cooked, it becomes deliciously crispy with a much cleaner and more refined flavor than bacon. Prosciutto di Parma is made following strict rules and using only specially-bred pork and sea salt. 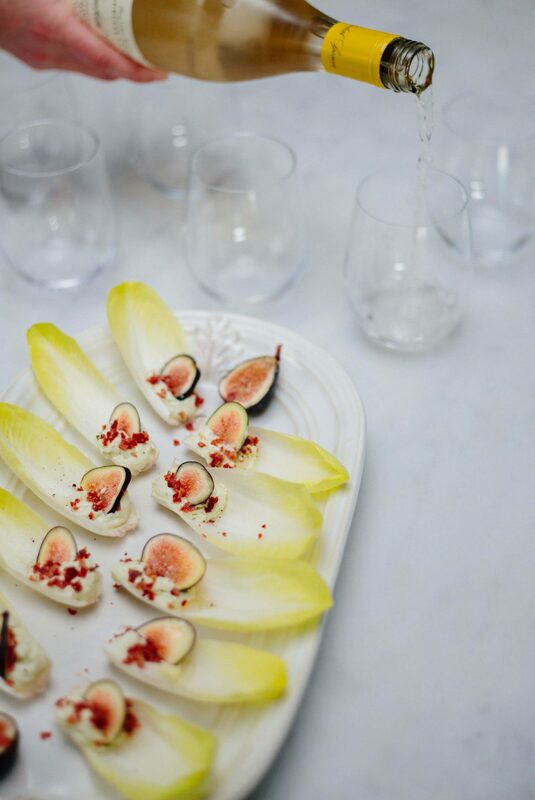 It’s the perfect match for sweet figs and piquant blue cheese espuma, served on a crunchy Belgian endive leaf. It’s great to start a party because you can assemble it ahead of time, and the endive leaves hold everything so that guests can eat it with one hand. We use our iSi canister for the blue cheese espuma in this recipe. It takes just minutes to make (see directions below). You’ll also want to rinse your figs and endive leaves in advance. To make the crispy prosciutto, slice a few pieces of Prosciutto di Parma into thin strips (about 1/4″ wide), then cut across the strips into squares (also about 1/4″). We used 2 slices that were freshly cut for us, so we requested slightly thicker slices than normally sliced for prosciutto, however a pre-sliced option would work well too. Toss the prosciutto pieces into a hot skillet (we used this one) and then cook over medium heat, stirring frequently, until the pieces are crispy. They will darken a little but should not burn. 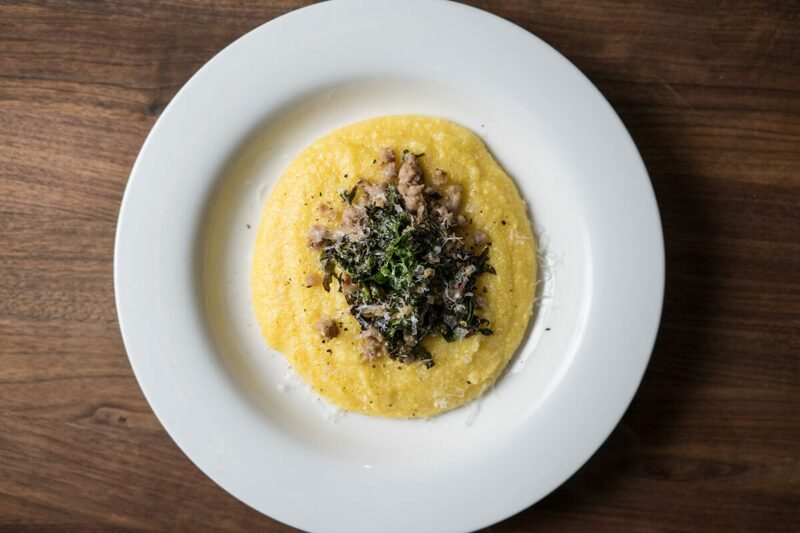 For this recipe, we wanted the prosciutto finely chopped into very small pieces so it would sprinkle evenly over the cheese and endive leaves. We chopped the crispy prosciutto with a large chef knife until it was the perfect consistency. To assemble, dispense a small amount of blue cheese espuma into each endive leaf. 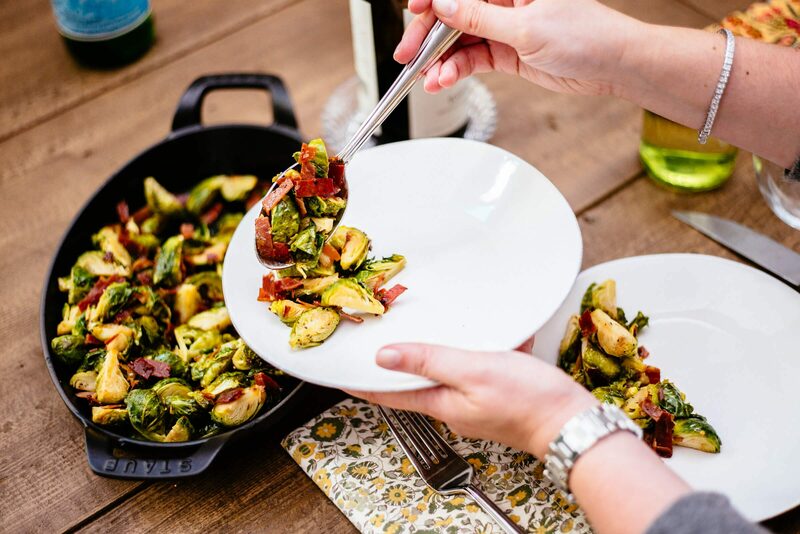 Sprinkle with crispy prosciutto pieces and top with a thinly sliced piece of fig. We arranged all of ours on this beautiful white platter, then drizzled them with a small amount of walnut oil. 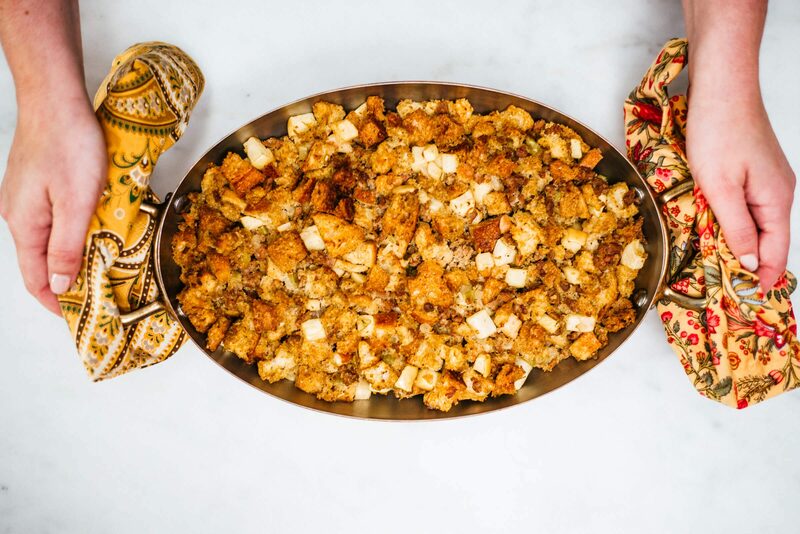 This is the perfect party appetizer for your end of summer gatherings. Serve with a light white wine like a sauvignon blanc in stemless wine glasses. The one we used was slightly off-dry and a perfect pairing with blue cheese. Thank you to Prosciutto di Parma for sponsoring this post. For the blue cheese espuma, combine blue cheese, cream, milk, and a pinch of salt and pepper with a blender. Add to an iSi whipping canister, and following the package instructions, pressurize the canister and shake vigorously. Refrigerate until ready to use. For the crispy Prosciutto di Parma, add the prosciutto to a skillet over medium heat. Cook, stirring frequently, until it is crispy. Remove to a cutting board and chop with a chef's knife until it is very finely crumbled. Arrange endive leaves on a serving platter and dispense about 1 tablespoon of blue cheese espuma from the iSi canister into each leaf. Sprinkle with crispy prosciutto and then freshly cracked black pepper. Place one slice of fig in each endive leaf and drizzle with walnut oil just before serving. Beautiful and delicious! What a lovely appetizer! Oh my goodness, this is a stunning appetizer! I love all the flavors and can’t wait to give these a try! I love the sound of these (minus the blue cheese since I am not a fan). I would happily sub it for another…perfect little appetizer. Hi Gloria, You could totally sub a different cheese for the blue. Goat or a milk soft cheese would be perfect!